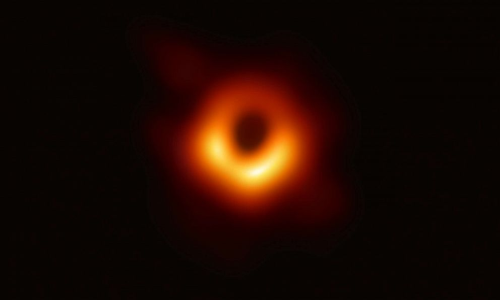 The first ever photo of a black hole was released today and it’s so cool! The never before seen black hole is called Messier 87 (M87), about 53 million light years away from Earth. It is located at the center of a galaxy far, far away and is about 6 billion times the mass of our sun, so it’s massive! Black holes are massive, they warp time and space, defy all rules of physics, and allow no light to escape. The picture revealed Wednesday confirms that black holes are surrounded by dust and gas moving at the speed of light. The mission to get this photo took about a year and a half to complete. Scientists say the mission was designed to test out Albert Einstein’s Theory of Relativity, and that this photo is consistent with simulations and predicitions based on Einstein’s calculations. Below is a picture of one of the high powered telescopes used to capture the black hole. 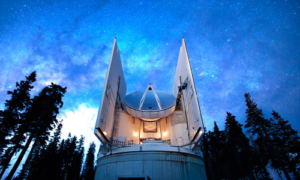 It’s called the Submillimeter telescope (SMT). There’s also a black hole located at the center of the Milky Way, our own galaxy, just 26,000 light years away from Earth. It’s called Sagittarius A* and has a mass 4 million times that of the sun. Scientists continue to analyze Saggitarius A* and hope to use these telescopes and others like it to show photos of it next.